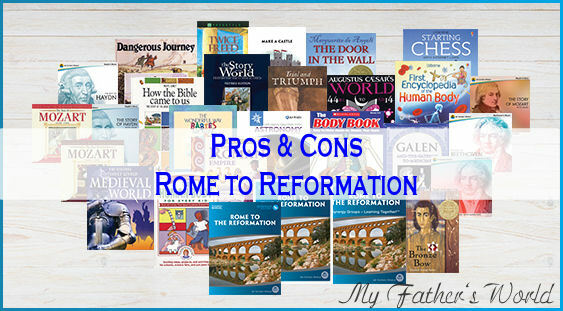 We have been using My Father's World for six years, and just finishing Rome to Reformation. The beauty of this curriculum is the core teaching is done together, with additional activities are suggested for older students. You teach ONE science, history, and bible to everyone, and then split for only individual subjects of Math and English. Since the curriculum is designed for a multi-age classroom, some resources hit may resonate more with younger kids, some middle elementary, and some for older. Don't get discouraged if a resources seems over their heads sometimes, they will retain more then you expect. The manual will become easier to navigate as you establish the rhythm for your Together Time. It took a week or so of actually teaching from the manual to be comfortable with the flow, and to learn how to leave items out that weren't meant for us. Throughout the year, you will also need to assess if a book suggested works for ALL your kids. It is OK if your youngers don't retain all the details from every book, they are still learning at their own level. For those of you like to check all the boxes, you need be OK with sometimes not doing something listed because it is too old or too young for your kids. Schedule-This year more than any other year so far, the teacher's manual proves itself essential to this curriculum. One criticism I have heard of My Father's World was that it bounces around a lot. This criticism has a base in truth, because it DOES bounce around a lot, but there is method to the madness. If you try to read all the books this year from cover to cover, you will miss a lot, and also get bogged down with too many countries and facts. The way the manuals lays out the scheduled readings makes your history study much easier to understand, and retain, because you study one civilization at a time, from start to finish. For example, in week 8 you skip several chapters in Augustus Cesar's World about ancient China, but come back to them for an entire 2 week study of ancient china in week 22. That same week you are scheduled to learn "terra" means land in "English From the Roots Up", while learning about the terra cotta warriors that guard an ancient Chinese emperor's tomb. 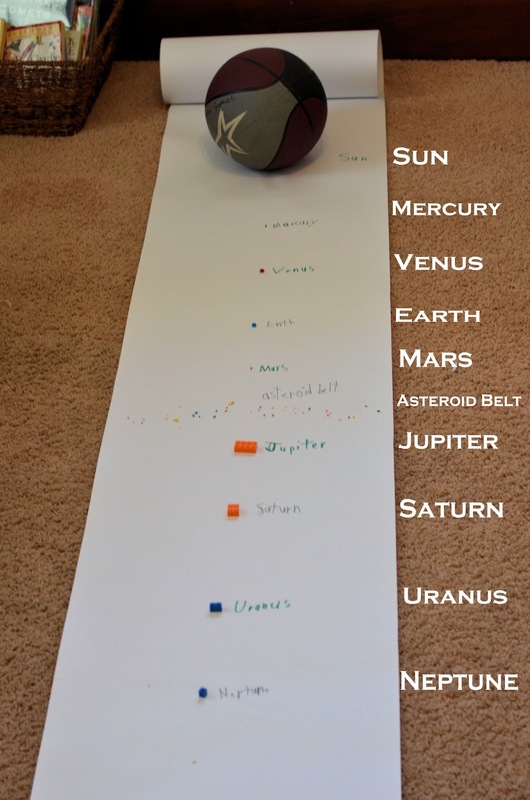 that same week, you study that mercury is a "terrestrial" planet (another derivative of terra), meaning it has land and is not a gaseous planet. 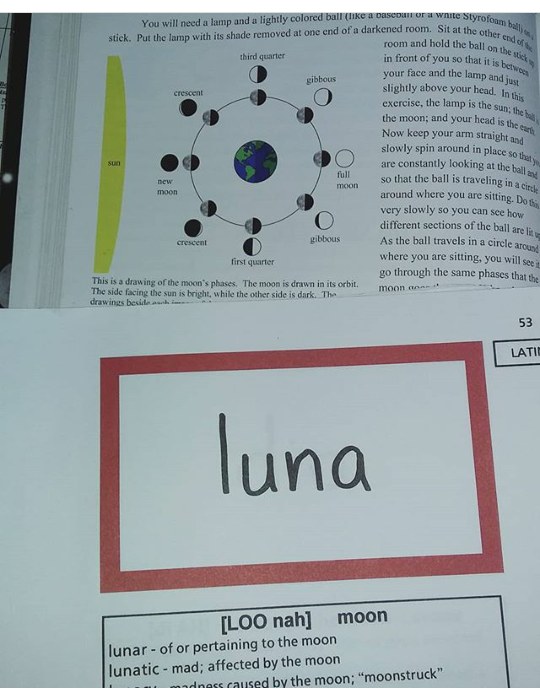 The manual cleverly aligns our study of the moon in science, with the Latin root word for moon. Pace- Some countries and time periods you seem to fly over. At first this was jarring, but once I realized it was age appropriate just to introduce my children to the overall history concept, I felt better knowing everything will be covered in deeper detail in high school. Activities- Like usual, there are several easy to implement activities in each unit. We missed some, like the roman feast, but did enjoy dressing up as roman solders and making our own helmets. I was glad many were so easy to implement this year, like we drank hot chocolate the day we learned about the Mayans. Augustus' Caesar's World ACW is a living book, full of accounts of the life of Augustus Caesar, the Caesar that was alive during Jesus' lifetime. I have heard good and bad reviews about this book. My kids really loved to be read to, so they LOVED this book. As the teacher, I thoroughly enjoyed how it made this crazy time period come to life. It felt like reading a novel, yet it actually all happened! That said, these are longer readings, and I don't know how younger children will do with them (my children are in 5th grade). There are tips in your manual on how to make the long chapters more enjoyable for younger kids. Please read the notes in your manual when reading this book, and do not just hand it to your child to read. The most important notes in the manual are what to skip, and when you may need to prepare for a talk with your kids. This is not exactly a Christian book. For example, as you read about the Jewish faith, it gives fascinating context to King Herod, but does not always accurately describe Judaism. The manual warns you before you read these chapters, to better prepare you on how you want to share the info with your kids. We found these times as great opportunities for a discussion of our faith. Roman Empire This is an easy to read book, full of bright illustrations and visuals. We all enjoyed it, but your younger students will really get a lot out of the many photographs and models. Medieval World This is another book where your teacher's manual will be essential. You skip around a lot, see why in the 'Teacher's manual' schedule section above. The illustrations are well done and information easy to read, great for elementary ages children. Story of The World. This is a winner for all of us. The book reads as a novel, but the chapters are not too long and keep the children (and mom) engaged. Streams of Civilizations We have the first edition of Streams, and as my children have gotten older, we have enjoyed it more. We love history, so all the details in this book have really enhanced our study, but it does usually read like a textbook. If you have really young children, you can read before hand, and then sum up what you read. Disclaimer: We don't do Read-Alouds during our morning school time. My husband does he read-alouds for a bedtime story every evening. Dangerous Journeys- My kids & LOVED this book, they read it twice. Trial and Triumph- This is probably a GREAT book, and so important to the church's history, but HONEST MOM MOMENT, we just never seemed to get to it! Real Honesty, I couldn't even FIND it the first 3/4 of the year, and finally found it once we got out of medieval times! We'll have a few times to read it finally when we get to reformation. First Encyclopedia for The Human Body- Usborne never disappoints. Bright colorful illustrations, great for all ages. 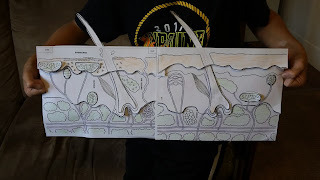 The Body Book: Easy to Make Models That Teach This was a huge favorite in our house, but prepared to make A LOT of copies! You can make most of the copies on regular paper, but I recommend making the skeleton on card stock if possible, because you will be adding pieces it all through the study. Younger kids may have issues if they are not great at cutting, but it provides a lot of practice for fine motor skills & spatial awareness. It helped us to make ALL the copies BEFORE the school year began. By the time you finish The Body Book, you will have a full body model like this one! Galen and The Gateway to Medicine A good living book that we all enjoyed. 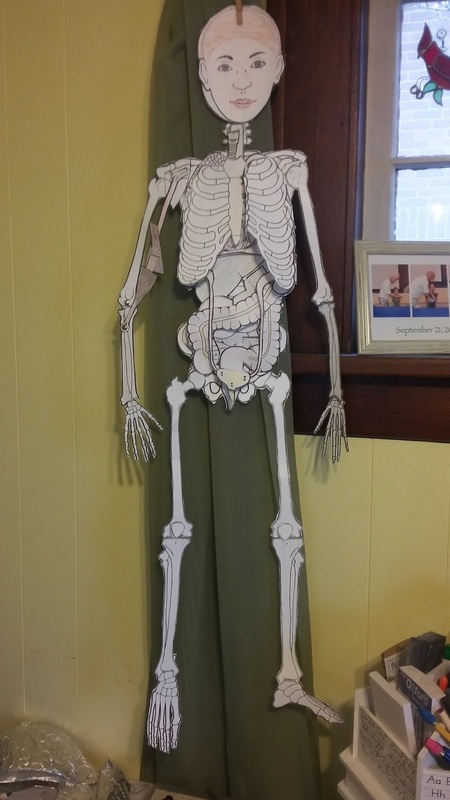 It added historical context, while also adding to our science study of anatomy & medicine. The Wonderful Way Babies are Made I can not recommend this book more. It was a gentle approach to a difficult subject. I would not recommend just giving it to your child, but really take the time to read it one on one with each child. My favorite parts that it doesn't end with an awkward note of reproduction, but on the redeeming note of Adoption. It really was a wonderful essential resource. Exploring Creation with Astronomy This books looks like a textbook, but reads more like a informational picture book. 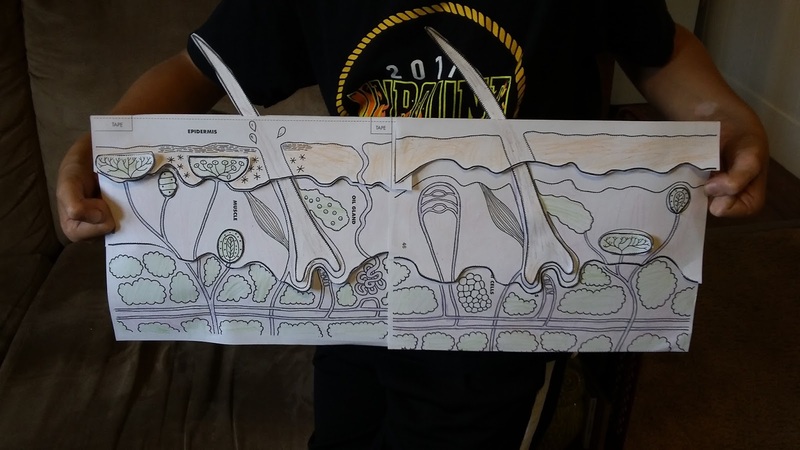 The activities and notebook activities at the end of each chapter are fun and easy to implement. 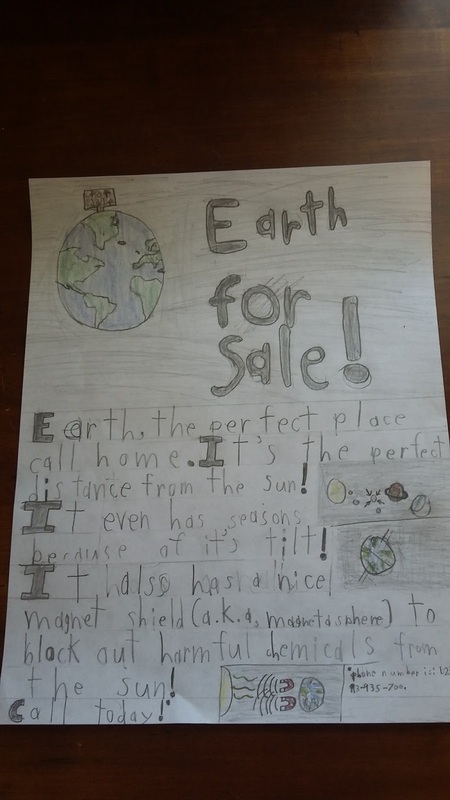 A sample Notebook activity, they had to make an advertisement for Earth, listing all the great qualities that make it a perfect place to live! The Human Body for Every Kid This book took us a few tries to appreciate. The beginning chapters on cells were so over all of our heads, that we just read the other anatomy books & did the models for the first few weeks. Once we got into the other parts of our body, we came back and tried it again. We enjoyed it on the second try. Sometimes the words are very clinical, but it was a good challenge. We only did the activity at the end of each chapter about half the time. How the Bible Came to Us- Easy to read book, with a lot of illustrations & fascinating facts. Teacher's manual Memory Verses- These are not actually a con, we just don't do them because my children are involved in Awana, which is a Bible memorization club. Draw and Write Through History- We love these books because they tie in perfectly to the history study and are done pretty independently. 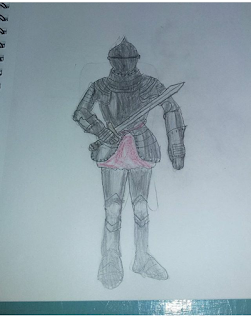 My children's drawing skills have really improved. We also love that they work perfectly with our workboxes. Make A Castle- This was a fun little activity. We ordered the castle that MFW recommends, and it was very easy to put together. My only criticism is that it is big, and we used it only one day. I think it is a worthwhile activity, but it does take up a lot of space in my very tiny homeschool room, because of course my kids will never want me to throw it away. Starting Chess. Since I do not know how to play chess, I needed something that they could open up and IT teaches my kids. Starting Chess is OK, but we found a much easier to implement a NO STRESS CHESS Game for beginners. Within one day, my boys were playing without the cards, and using the traditional chess board side of the game. Thankfully you can easily choose your own Language Arts programs, but MFW does recommend some options. After a few years of tinkering, we have found which of these recomndations do, and do not, work for our family. English from the Roots Up- This was again one of our favorite studies, adding so much to our understanding of the English language. Etymology needs context, and the MFW manual provides this much needed context. For example, you study the wood " sol" for sun is when you begin you astronomy study. 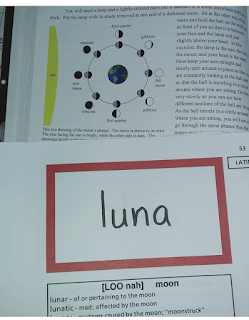 You learn the word "lune" for moon when you study the moon, and the same day read about a medical battle that involved an eclipse. The world "magnus" for great is scheduled the day you read about Charles the Great/ Charlemagne. 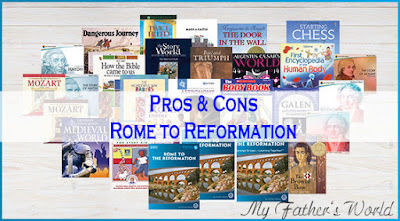 I used an easy printable from MFW Rome to Reformation Group, that went into our Workboxes. Language lessons for Today, Grade 5- We again enjoyed LLFT, it continues to be is a gentle Charlotte Mason approach to language arts. Some years past have felt almost too light, but I think the 4th and 5th grade are beginning to pick up, at an age appropriate level. Write Your Own Books- Does your child CRY DURING WRITING? We do some writing during the History notebook, but we were in that boat with Writing Strands, so we quit that curriculum and started Write Your Story Usborne workbook! It was a perfect answer to our Elementary writing woes! It was recommended to me by a friend who is an elementary school teacher. It was a GAME CHANGER in Writing. My Kids LOVED IT, and they learned so much about composing a story. Bonus, it is the cutest keepsake book when they finish! It infused a new excitement for writing that they lacked with writing strands. Because of this excitement, next year we are ditching Writing Strands completely, and starting next year with Usborne Write Your Own Adventure Stories . Spelling- We have just never liked Spelling Power, it is very teacher driven and we wanted a more independent spelling curriculum that didn't require so much teacher presence. We use Spelling By Sound and Structure for Christian Schools Grade 5. This curriculum also works very well with our workbox system. Math U See- We choose instead to use Math U See. Very thorough and well explained! I'm always amazed at how you bloggers have the time! Overall I agree except for the music CDs, they are so easy to pop in the car and listen to. I highly recommend getting them. I definitely agree with the student sheets, always my biggest disappointment with MFW. Tons of freebies and mom made ones in the fb groups or around the blogs. 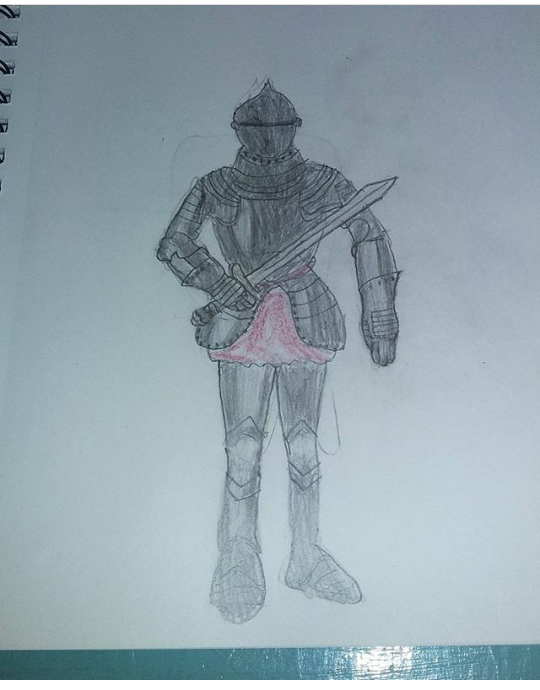 We also add Draw and Write Through History art books although my kid's drawings aren't that good, no artistic ability in this family AT all. We also use IEW history theme writing books. The enrichment game sold through MFW is Castle Keep, we loved it! It is also available as a Kindle app. Thank you Cheryl! I need to check put IEW, I have heard many good reviews.